The Long View is an exhibition and multimedia installation designed and implemented by Steve Keeling, Aaron Watson and John Was. 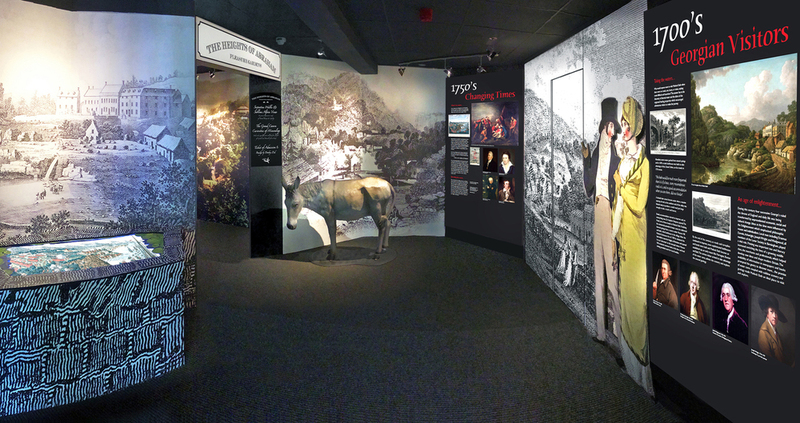 Repurposing an existing venue, this engaging exhibition sets the notable cultural and industrial heritage of The Heights of Abraham hillside park, within a wider context. Situated high above the Derwent Valley, at Matlock Bath in Derbyshire, The Heights of Abraham became famous during the 1780s, as a 'Pleasure Garden'. 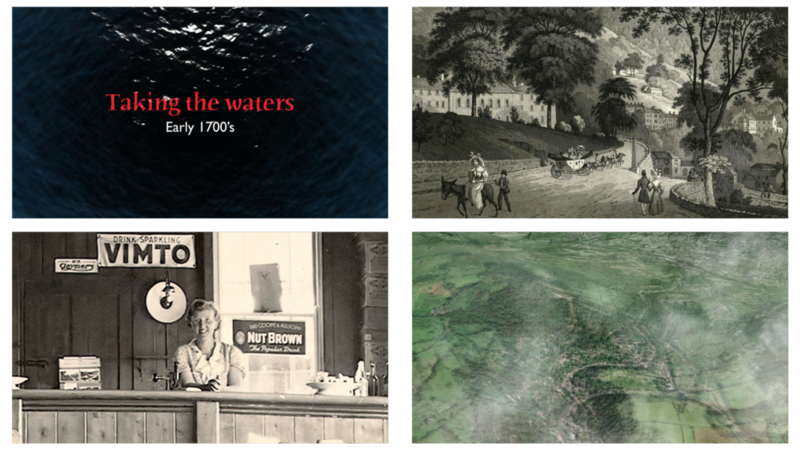 Enquiring visitors flocked to experience ‘sublime’ landscape, caverns and newly discovered geology which were fashionable activities at the time, a period of great change in English social history. 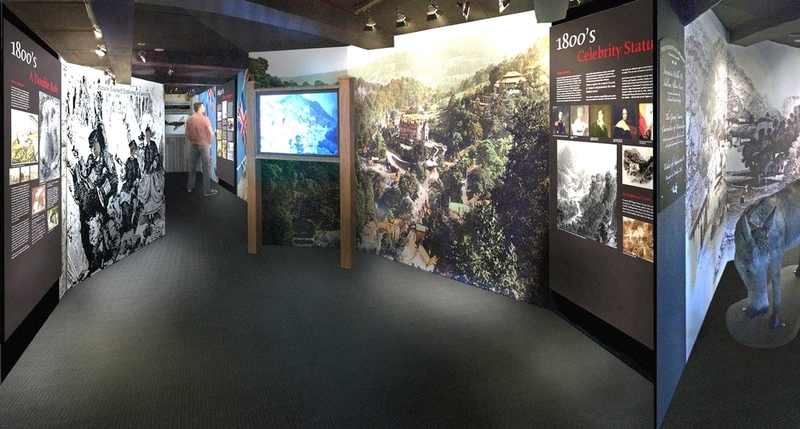 Multiple screens distributed throughout the exhibition display animated sequences and link to information panels detailing historical themes such as The Enlightenment, lead mining, Georgian England and pre World War II tourism. The entire audiovisual display is precisely timed and sequenced to articulate movement through the exhibition, creating an immersive soundscape for visitors of all ages to explore. All working drawings, installation contracts and project management were handled by members of the Monumental team. The Long View was commissioned by the Heights of Abraham and opened in April 2014.